Preheat oven to 350 F. Grease an 8×8 casserole dish. 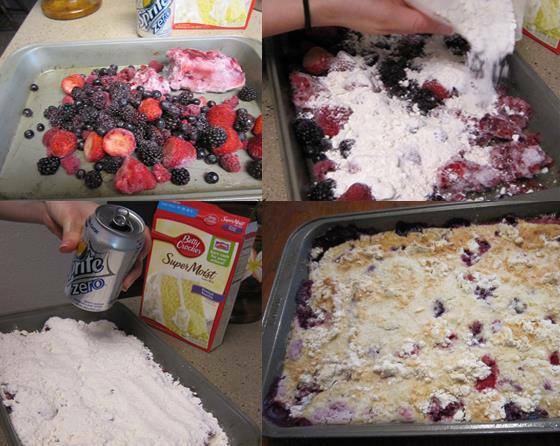 Combine sugar, flour, and milk in a bowl and pour into the bottom of the casserole dish. Then, pour the blackberries in the middle of the dish on top of the batter. Bake the cobbler for approximately 55 minutes or until it is cooked to your liking. You can substitute many fruits to this recipe. We like our cobbler hot with a scoop of vanilla ice cream. I hope you enjoy this easy, cheap, and tasty cobbler recipe.